All Golden Yachts for sale worldwide are listed below, scroll down to view them. Golden Yachts specializes in the construction and refit of luxury motor yachts, ranging from 94 to 272 feet (28 to 89 meters). Focused on custom built mega yachts, this is a shipyard that balances the highest standards of engineering and technology together with luxury and elegance at attractive delivery times and budget controls. Golden Yachts began its venture in 1996, by the father – son duo of Paris and John Dragnis. 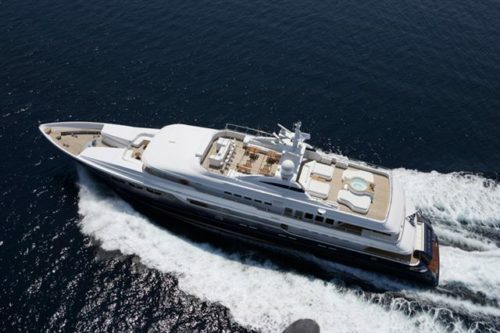 The beginning was mainly consulting and supervising refits and rebuilds of m/y O’Pari and m/y O’Rea. Golden Yachts has since evolved to the construction of custom yachts and the newest edition lines of GY39 (39 meters / 128 feet), GY54 (54 meters / 177 feet) and GY97 (97 meters / 318 feet). Situated in a privately owned strategic part of Athens, Greece, Golden Yachts is one of the very few shipyards in Greece that can build yachts over 200 feet (61 meters). The most updated technological facilities and machinery in combination with superior craftsmanship have made the company a leading yacht specialist in the industry. Golden Yachts emphasizes in taking all necessary procedures and requirements from worldwide Classification Societies and from SOLAS and MCA compliance in order to maximize safety. A strategic alliance between the chartering divisions of Atalanta Marine and Golden Yachts was commenced in 2006 with the outcome of Atalanta Golden Yachts. 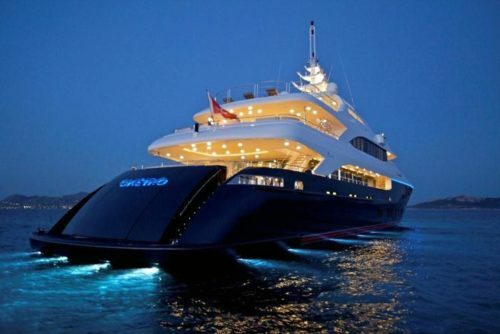 They have since been the market leader for management, sales and chartering of crewed yachts in Greece. Golden Yachts is also affiliated to the Goldenport Ship Management group, a major global shipping services provider since 1978. Golden Yachts has constructed or rebuilt the most sought after charter yachts for the Mediterranean including O’Mega, O’Ceanos, O’neiro, O’Rama and O’Ptasia.